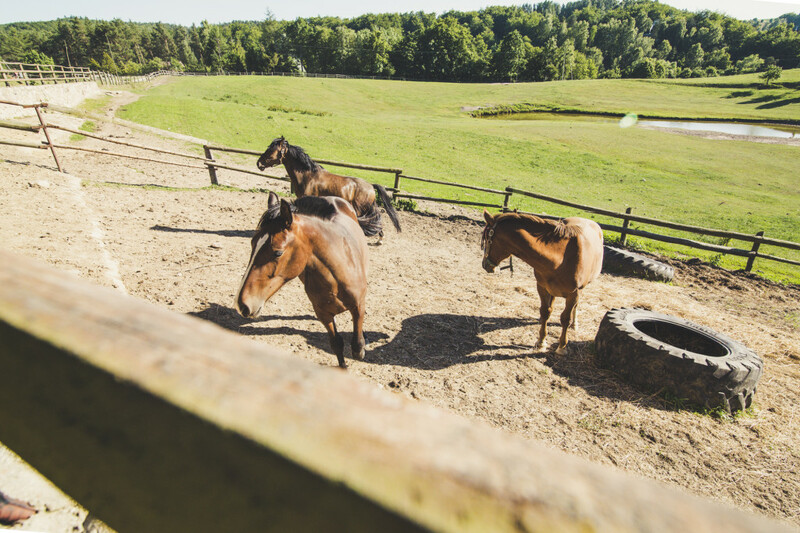 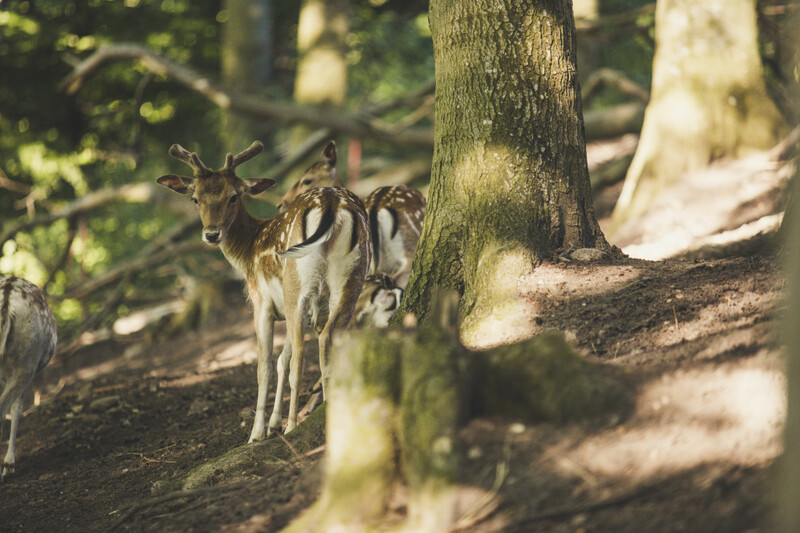 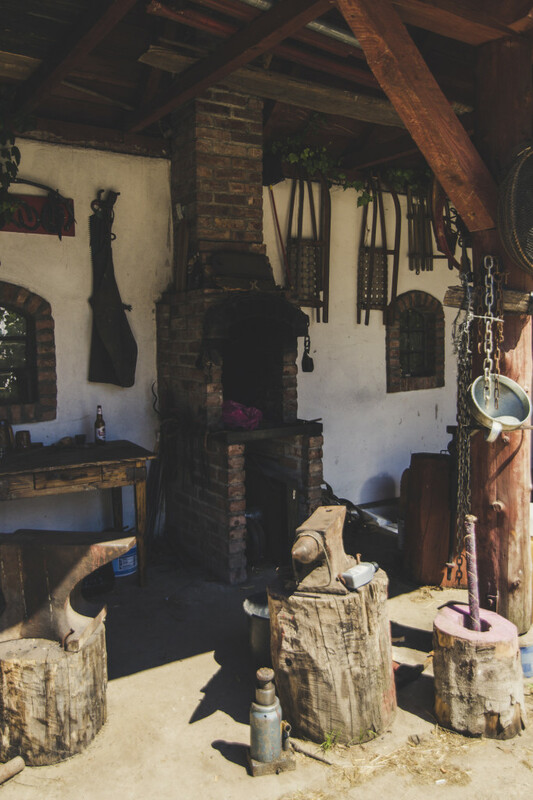 Our horse stud features one of the most beautiful locations in the Kaszuby region, namely in WIEŻYCA-KOLANO. 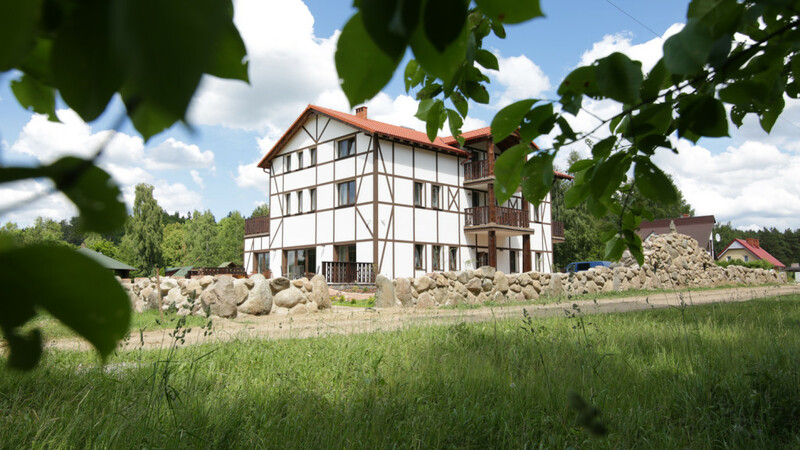 The village is located at the foot of the Wieżyca Mountain (also called the Kashubian Olympus) with a height of 328.6 m asl, constituting the highest point in the European Lowland. 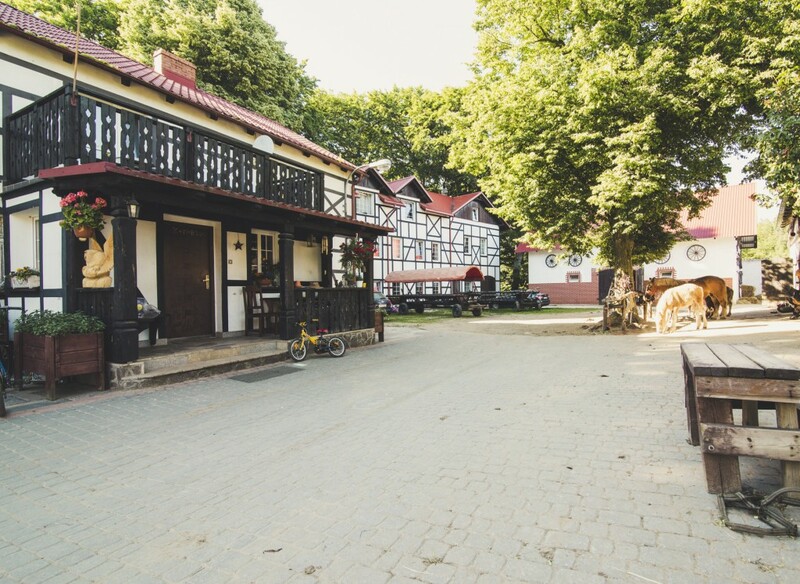 The village is located in the Kaszubski Landscape Park at the Kashubian Route and waterway “Kółko Raduńskie”. 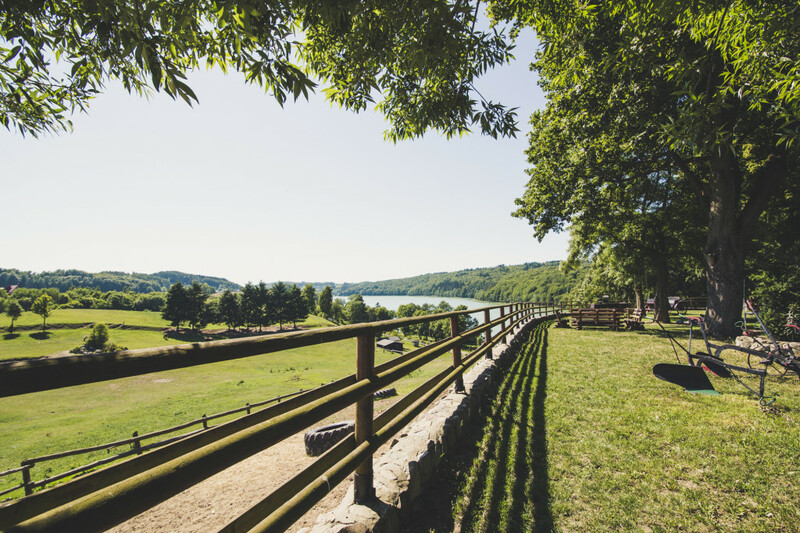 Our farm offers a wonderful view to Lake Ostrzyckie, Wieżyca Mountain with a vantage tower, and the range of the Szymbarskie Hills. 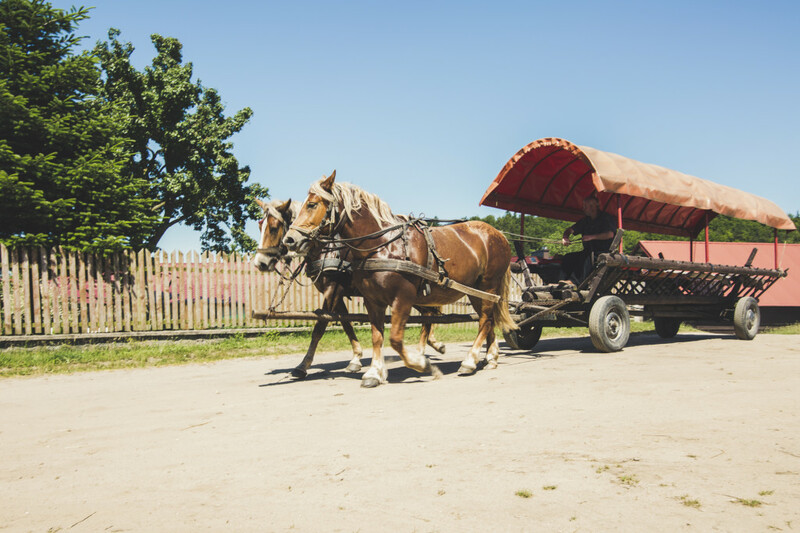 Ski lifts are only 500 m away, and the lake and bathing area – 100 m. Our 4 horse studs feature 50 horses of various breeds, used for riding, sports, and cavalry, as well as for sleigh, hayrack wagon, and carriage rides. 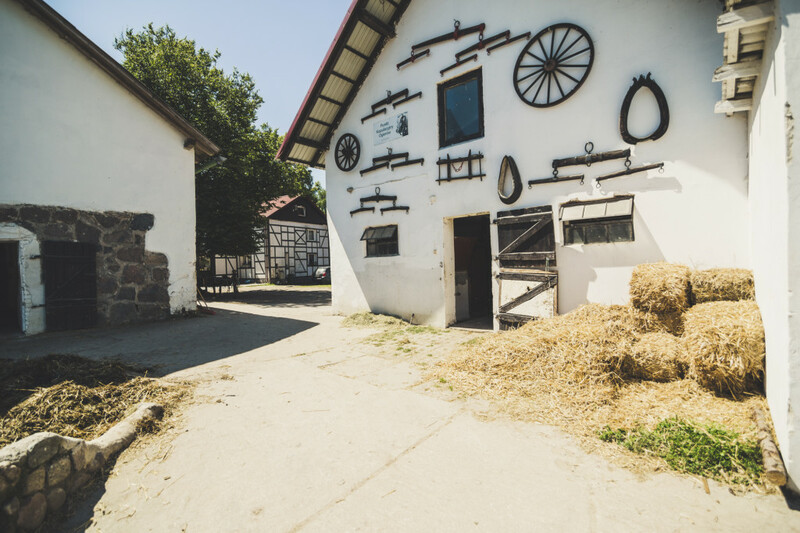 Our horse stud boasts not only Superchampions and Champions, but also many awards from local riding competitions. 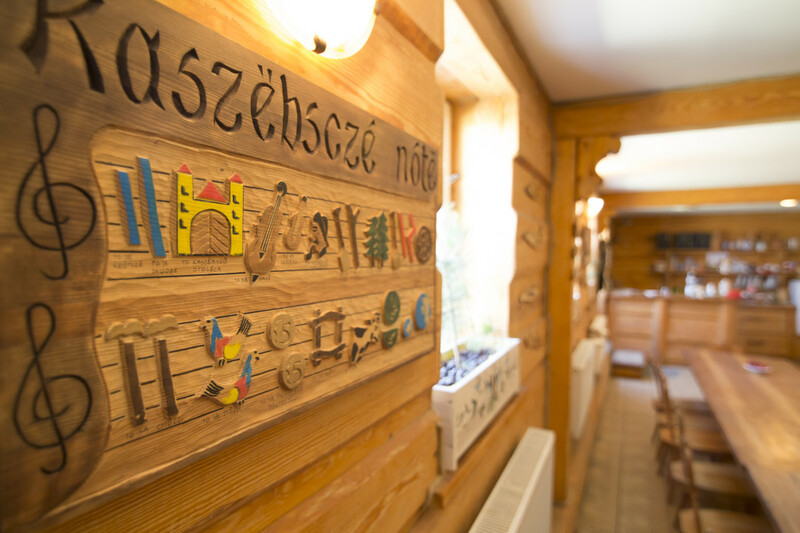 Moreover, in 2014, our activity was recognised by the authorities of the Kartuski District – we were awarded a distinction in the prestige competition “Perła Kaszub”.